With the increasing development of science and technology and information, the application and development of car networking are gradually being put on the agenda. How to better realize the interconnection between "people-vehicle-road-goods", and to provide early warning and control for the management of transportation, so that the manufacturing industry can drive the road transportation industry to a safer and faster road, and it has gradually become a vehicle. Business focus. On December 18th, 2012, China's first " car networking technology application demonstration base" settled in Shaanxi Automobile Group, indicating that the application of the car network in the commercial vehicle industry has achieved a double breakthrough in technology and customer experience, and will be a heavy truck The integration of the industry and road transportation industry will play a good exemplary role. 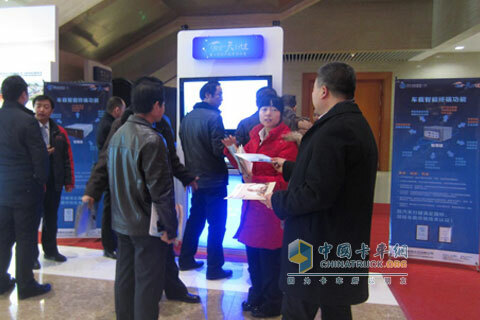 At the Shaanxi Automobile Heavy Truck 2013 Business Annual Conference held at the Xi'an Qujiang International Conference Center, the leaders of the Ministry of Industry and Information Technology and Fang Hongwei, Chairman of Shaanxi Automobile Group jointly unveiled the â€œtraining demonstration base for the application of networking technologyâ€, which means Shaanxi Automobile's The Skywalker Networking Service System has been highly recognized by the relevant ministries and commissions of the country and will formally shoulder the heavy responsibility of promoting the application and development of car networking technology in China. In 2009, Shaanxi Automobile proposed the "service-oriented manufacturing" strategy, and in 2011 it officially released "the Skywalker Connected Network Service System" to provide lifecycle services for heavy truck users. Today, from the initial product R&D and service, Tian Xingjian has been providing integrated solutions for all types of subdivided users and has become an important part of promoting the transformation and development of Shaanxi Auto Group. In this search for new ideas and roads, the service concept of Shaanxi Automotive's customer value orientation is also reflected. It also reflects the wisdom of science and technology leading the development of heavy trucks. The Ministry of Industry and Information Technology conferred the awarding and launching ceremony of Shaanxi Automobile's "training demonstration base for the application of technology for networking of trains"
As we all know, in the passenger vehicle industry, the application of car networking technology has become more common, and at the same time, the needs of users are more clear and clear. In the commercial vehicle industry, the needs of users are more diversified, and the application of information technology is mostly The GPS service provided by a third party and the application of the car networking technology have not made a qualitative breakthrough and leap forward. In fact, to realize commercial vehicle networking applications, it is necessary to perceive and link people-vehicle-roads in real time to guide transportation behavior and enterprise management. In this sense, traditional GPS can do very limited, which requires Commercial vehicle enterprises start from the vehicle, collect and analyze vehicle operation data, and integrate social resources to provide users with valuable service information and improve the comprehensive operational efficiency of logistics and transportation. The launch of Shanqi Tianxingjianâ€™s homeopathic development complements the lack of commercial vehicle networking and breaks through the traditional GPS vehicle management model. At the same time, it integrates many advantageous resources in the industry. Therefore, it was awarded the first national car granted by the Ministry of Industry and Information Technology. It is not surprising that networking technology application training demonstration bases. According to the person in charge of Shaanxi Tianqi "Tianxingjian Project", the introduction of the Tianxingjian system will not only provide a venue for the company's aftermarket services and strategic transformation, but also provide users with a comprehensive solution for mobile heavy load. This is Shaanxi Automobile's breakthrough industry. The important way of low-end competition. It is understood that after one year of development, the Tianxingjian system has aggregated the needs of the three major customer groups of logistics companies, car loan finance companies and individual users of heavy trucks. The overall solution provided brings them security, efficiency and management. Change. The master Wang of Kaishang Automobile has been telling reporters for many years that the riders who ran along with the transportation saw their admiration for the new Tianlongjian system on the newly purchased Delong F3000, and they can start a self-check before driving. Can enter the inspection, a comprehensive understanding of the vehicle running status, greatly improve the vehicle fault prevention and perception capabilities, want to see the report of the overall operation of the vehicle, you can also visit the Tianxingjian management website to view and download some data, both convenient and practical. Tianxingjian adopts the three subsystems of vehicle intelligent terminal, management website, and call center, covering functions such as intelligent goods distribution, video surveillance, vehicle navigation, fault inspection, emergency help, and car-friends interconnection to promote the intelligent development of heavy trucks. The creation of revenues at the same time ensures the safety of driving, which is exactly the urgent need of heavy truck drivers. In the future, Zhilian will let the demonstration base achieve the wisdom of transporting China. 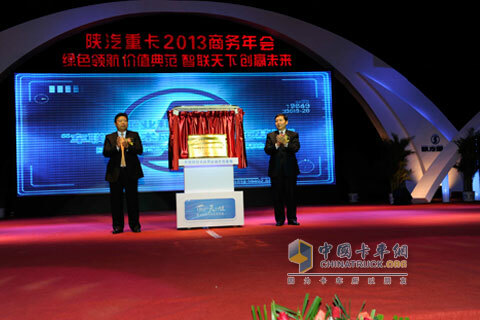 At the Shaanxi Automobile Heavy Trucks 2013 Business Annual Conference, the reporter learned that under the leadership of the Shaanxi Automobile Group's technology and strength, the Tianxingjian system will embark on the future of Zhilian, inheriting the excellence of the past, under the accumulation of customer value orientation. The results, at the same time, will play the role of China's first application demonstration training base for the application of car networking technology to create greater value for heavy truck users. In today's era of micro-growth in the heavy-duty truck industry, in the face of new situations, intelligence and information must be put on the agenda. At the same time, the development and installation of intelligent systems is not just a matter of satisfying the requirements of national policies. Can not only stay in the traditional GPS traffic management mode, must be a breakthrough in order to achieve value. It is understood that after the first demonstration base for the application of train networking technology has been set up in Shaanxi Auto, Shaanxi Auto will use the "Tianxingjian Vehicle Networking Service System" as its carrier to carry out customer demand excavation, R&D of car networking products and car networking within the demonstration base. A series of actions such as the training of talents and the integration of industry resources will allow the demonstration base to maintain its leading position in the industry and play a role in the development of demonstration bases. First of all, aiming at the users' misunderstandings and misuses of the Internet of Vehicles technology, the demonstration base will start with improving the user experience and train more professional management personnel such as fleet management consultants and car loan management consultants to answer questions for customers and collect customers. Demand, guide customer needs, let the demonstration base become a training ground for car networking technology. Secondly, the demonstration base will also carry out a series of business cooperation activities to integrate industry resources such as freight, maintenance, rescue, government, real-time traffic information, etc. to achieve better interconnection of people-vehicle-road-goods for traffic management and Logistics transportation provides support to achieve the wisdom of transporting China. We have a good strategy and a winning streak, and we have reason to believe that Shaanxi Auto Tianxingjian will push the new development of the heavy truck industry with a strong intelligent drive.